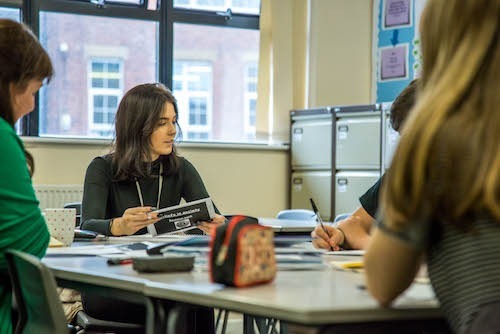 BTEC Extended Health and Social Care is a popular choice at KS5 for students wishing to gain a more practical hand’s on approach to learning which will gain students the equivalent of three A Levels. For more specific content please see the Assessment section below. A BTEC in Health and Social Care is the ideal choice for anyone wishing to pursue a career in a health or social care setting. This course will provide students with a national vocationally specific qualification recognised by both employers and universities. Many of our former students have gone onto undertake degrees in nursing, teaching, social care, probation, psychology and criminology to name but a few, whilst some have moved into jobs as the course will prepare them for any future career in Health and Social Care or any related career that involves working with people. The course aims to provide an enriched learning experience that develops skills and qualifications for employment. In addition to this, students will have an opportunity to participate in the NHS Befriend volunteer scheme at Pinderfields Hospital. As this is a professional role, students will undertake a period of training and gain the following level 2 qualifications; communication, safeguarding, dementia awareness as well the practical skills of safe wheelchair use. To support students in their studies the following enrichment activities have been planned; Gravity trampoline park, Nuffield health and fitness centre, care home visit, Temple Moor centre for interactive learning, the museum of mental health at Fieldhead Hospital. We also encourage students to participate in charitable events, which have included Race for Life. All assessments are internally marked and will be in the form of a range of activities, including coursework, practical tasks and group work. None of the tasks will require an examination. Each unit will be marked in line with the grading criteria, giving students a Pass, Merit or Distinction. All units will then be accumulated at the end of the course to provide an overall grade for the course. Work experience is compulsory; this will be 100 hours based over 3 placements in year 12. These placements will help students gain and apply their work based skills, communication and teamwork and time management as well as develop personal and professional attributes which enhance their employability. 5 GCSEs at grade 5 or above. Students must have achieved grade 5 or above in Maths and a 5 in English.